It has been ten years since the passing of Edward Said. He was a cultural critic, an academic, a writer, an intellectual, a musician and probably one of the most powerful voices of the Palestinian cause. Said was born in Jerusalem in 1935 to a prosperous Palestinian Christian family. He attended school in Jerusalem, Cairo and Massachusetts and obtained his academic degrees in Princeton and Harvard University. He spent most of his academic career as a professor of Comparative Literature at Columbia University, but also taught at Harvard, Stanford, and Yale. Said was married to Mariam Said, and was the father of a daughter, Najla and a son Wadie. As a Palestinian with US citizenship, who would never shy away from criticising either side, Said felt most of his life “out of place”, which also became the title of his memoir. Yet, as his colleague Joseph Massad writes, Said created an intellectual world with “a new language, a new syntax, a new vocabulary to which those of us who, like him, felt out of place in a terrifyingly unjust world, could belong”. Said had a very clear vision of the tasks and responsibilities of an intellectual. To him, criticism constituted the very basis for thinking and he saw the intellectual as someone who had to always “speak truth to power”. "I take criticism so seriously as to believe that, even in the very midst of battle in which one is unmistakably on one side against another, there should be criticism, because there must be critical consciousness if there are to be issues, problems, values, even lives to be fought for"
In an age dominated by so many political deities, be it communism, imperialism, or even nationalism, Said envisioned himself as a political atheist, who hated all systems “whether on our side or theirs with equal distaste”. This position should however not be confused with one of neutrality, but rather as the insistence on taking a critical stance towards all political religions . During his lifetime, Said wrote and published numerous books and articles, many of which were very influential, yet his most important work remains Orientalism, which was first published in 1978. Said had always been interested in the way that the West perceived and represented the non-West. 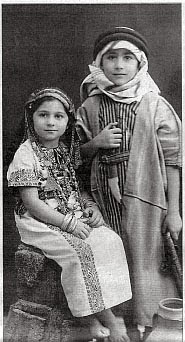 As a Palestinian Arab he became particularly interested in the Western conceptualisation of the so called Orient. He therefore took it on himself to thoroughly study the Western discipline of Orientalism, and the representations of the Orient in Western culture. The “Orient”, he claims, is nothing but a Western projection, which serves as an implicit justification for its colonial and imperialist ambitions. At the same time the West used the representations of the Orient as irrational, weak and feminine, in order to invent itself as its antithesis, and thus as rational, strong and with supposedly masculine qualities. Until today Orientalism engenders a lot of discomfort and even hostility towards Said, yet its impact on a number of academic disciplines, such as anthropology, comparative literature, cultural and postcolonial studies, the latter of which Said is unequivocally one of the intellectual founding figures, cannot be underestimated. 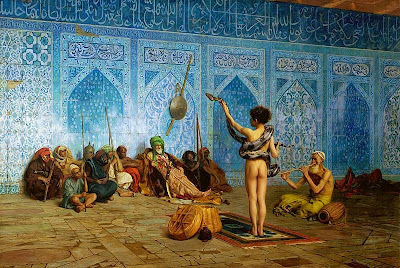 More than an analysis, Orientalism became a method which served to show how in different ways the European self came to be engineered as the universal self, against which all others should be measured. While until the publication of Orientalism, Western scholarship was mainly concerned with studying the non-Western other, Said's work to some extent managed to shift this perspective and allowed for the study not of blackness but of whiteness, not of femininity but of masculinity, not of homosexuality but of heterosexuality. The importance of Orientalism could not be diminished by the passing of time, mainly because the conditions of its production unfortunately remain unchanged. More than 30 years after its first publication, wars are still waged and legitimised by invoking the image of a "civilised" democratic West struggling to enlighten the uncivilised Orient. 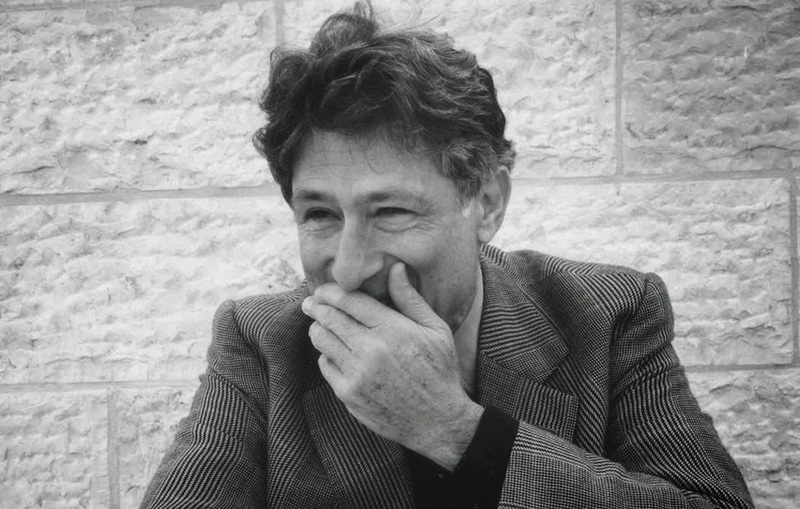 For quite a while his life in exile disconnected Said from Palestine, yet the Arab defeat against Israeli troops, and the subsequent occupation of the West Bank and Gaza in 1967 reportedly reconnected him with his former self. Said thereafter became a central figure to the struggle of making the Palestinian narrative known abroad. In 1977 he was elected to the Palestine National Council (PNC) as an independent member and he was also among the first advocates of the two-state solution, which entailed an implicit recognition of Israel's right to exist . Yet also when it came to Palestinian politics, Said remained loyal to his conviction of the centrality of criticism, even when it concerned his own community. 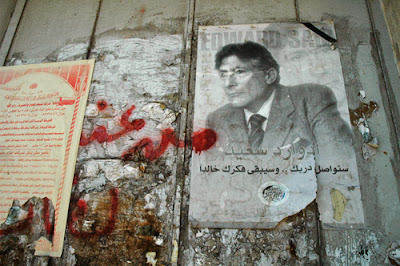 Protesting the politics which led to the Oslo Accords, he resigned from the PNC in 1991. Oslo, he rightly predicted, would turn Palestine into a Bantustan and the PLO into a police authority subcontracted to the Israeli occupation. Due to his harsh criticism of the Palestinian leadership, Arafat censored and banned the writings of "the best-known and most distinguished Palestinian exile", which probably only served to emphasise the importance of Said's work. Throughout his life, Said never grew tired of denouncing the continuous human rights violations of the Palestinians through Israel, as well as criticising US foreign policy in the Middle East, which obviously earned him a lot of enemies. He received death threats, has been called an anti-Semite, and was once even dubbed “Professor of Terror”, notwithstanding his vehement critique of violent acts aimed at civilians, be they Israelis or Arabs. During the later years of his life, Said became a supporter of a secular democratic state for both Palestinians and Israeli Jews. During the later years of his life he increasingly dedicated himself to music. Yet also in this realm, the fight for a more just future remained a central theme and together with his friend, the Israeli pianist and conductor Daniel Barenboim, he founded the West-Eastern Divan Orchestra, composed of young Palestinian, Arab and Israeli musicians. After fighting against leukaemia for 12 years, Said passed away in New York on September 25th, 2003. It almost seems as if, now than ever, we are in need of his critical voice, yet fortunately, through his work, he equipped us with many tools to form our own critical opinions in order to continue his legacy and speak truth to power. Hi, you've put his date of death as September 25th, 2013, I think you meant 2003 :-). Great piece.